So, if you're a longtime reader of the blog, you'll know that for about a year, I used the blog just as a catchall to post photos of Boston based on their name, so the blog title post would be "today's letter: _____ is for..." and in the blank part, there'd be a letter of the alphabet. 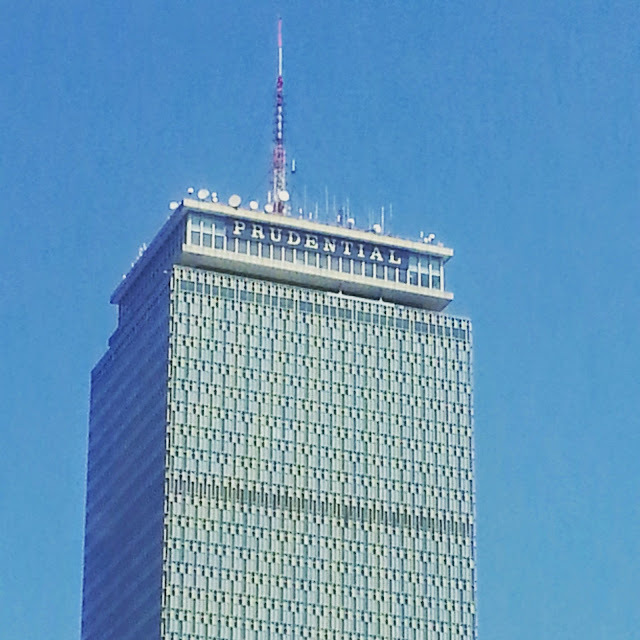 In the actual post, I'd post a photo of something in Boston that corresponded with the same letter as in the title post. So, for example, I'd write "today's letter: P is for..." and in the post I'd post things in Boston that start with P.
I was sitting in traffic at the Mass Ave. and Boylston Street intersection on Sunday afternoon and happened to look up at the Prudential Center and had a flashback to how I used to take these sorts of alphabet photos all the time. 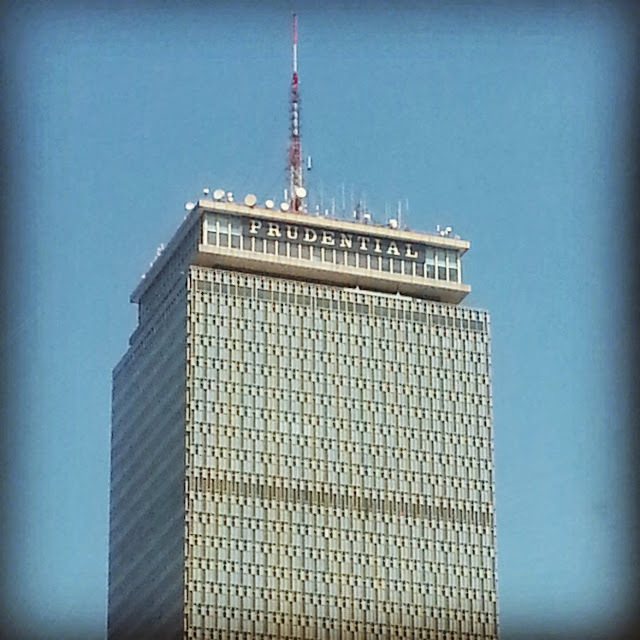 It was a long wait at the traffic light, so I ended up having enough time to snap a few photos of the Pru before the light changed and I could put down my phone and drive (no texting while driving, here!). I've mentioned before how the collecting of photos based on letters of the alphabet took me years, but I'm actually happy that because of this project, I've amassed a lot of lovely photos of Boston. 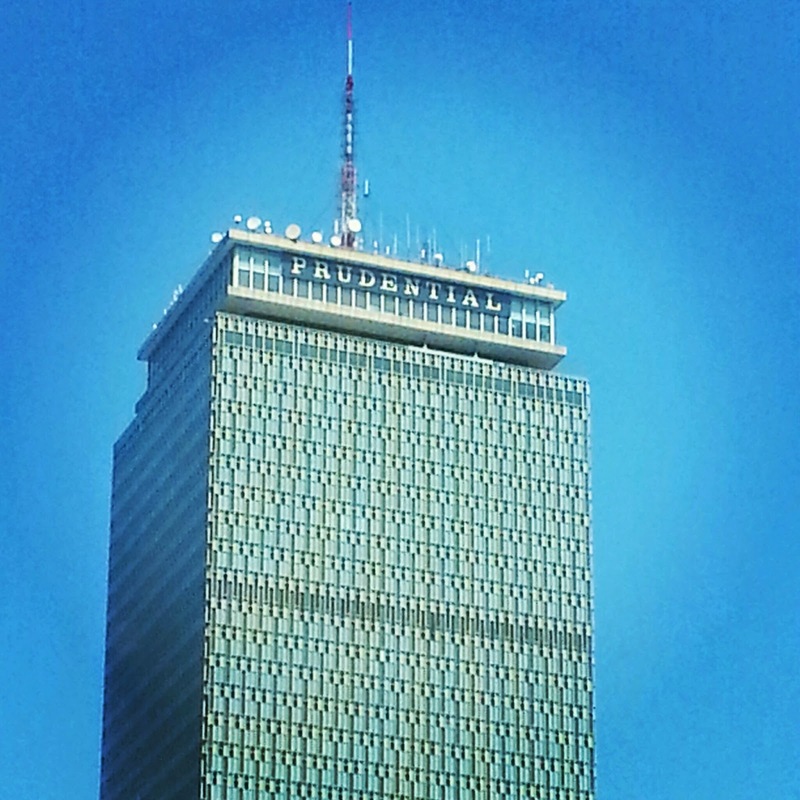 In honor of Flashback Tuesday (just kidding, that's not a thing...) here are Sunday's pictures of the Pru, via Instagram.